Quick Stock is a quick and easy way to move items out of your inventory. This is the same as moving items directly from your inventory page, but it is much faster since you don't have to move them one by one. 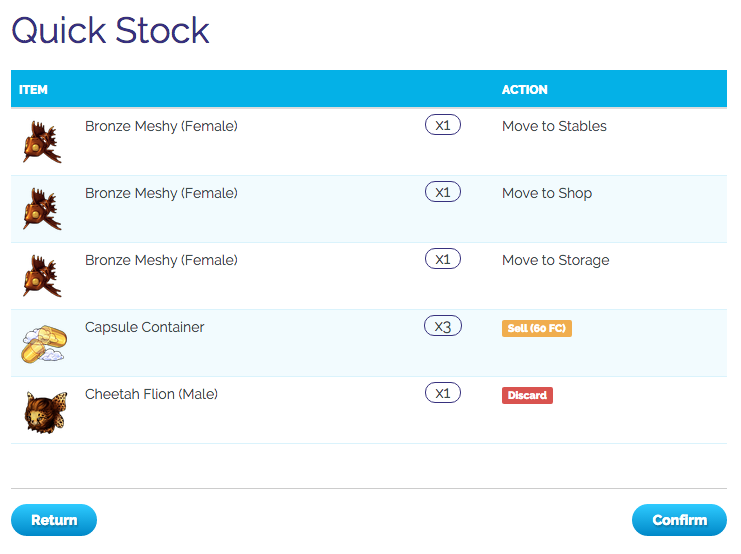 Access the Quick Stock menu from your inventory page. All the items in your inventory will be listed in alphabetical order. 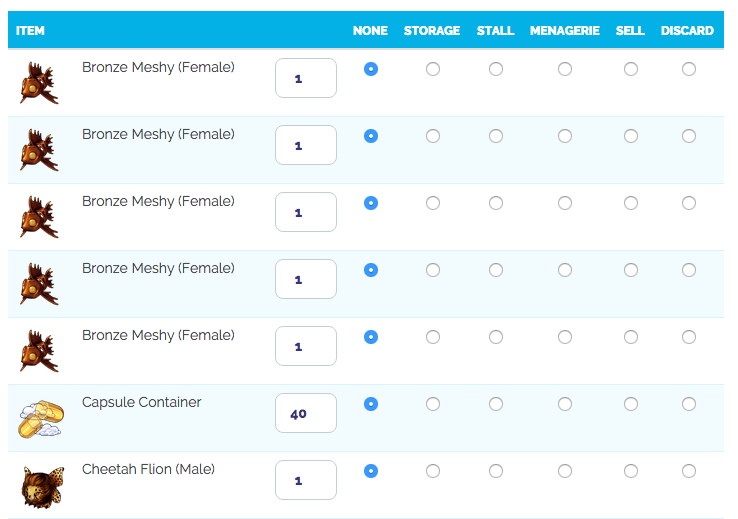 From here, you can move items to your storage, stall, or menagerie with one simple click. You can also sell or discard items. 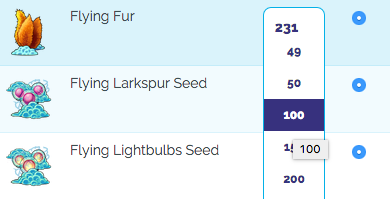 You can also specify the quantity of the items. Once you've selected the items you want to move, it's time to save the changes. Scroll down to the bottom of the page and hit the blue Submit button. You will be redirected to a confirmation page. Remember to look over everything and make sure there are no mistakes! Sellbacks and discards are not reversible. Hit confirm, and you're done!